^Neither could I. I copied the link and pasted it into a new window and up it came. Not heavily into technology, just tried it once a few months ago out of curiosity and it worked. It did for me with this link. Good luck, hope it works for you as well. ^I got it to work. Thanks for the tip. Copying and pasting it into a new window worked for me to, thank you. There always seems to be tension or not a friendly vibe between these two. 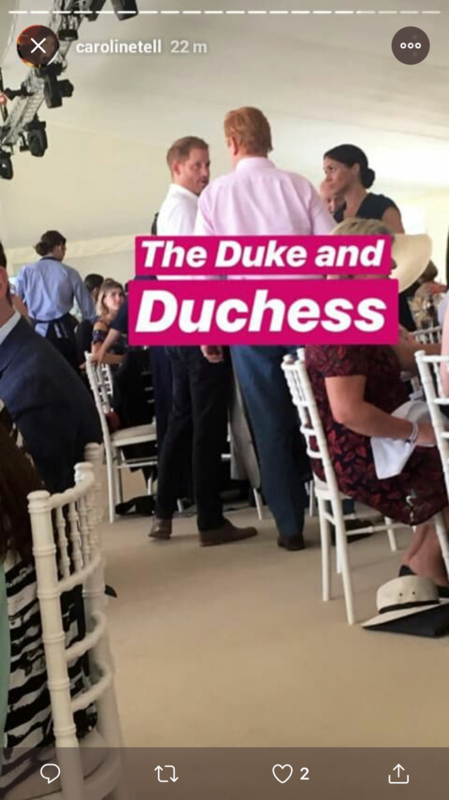 Mark Dyer’s Harry’s ‘second dad’ and whenever he’s around Meghan, it’s not nice. It’s hard to believe that there’s a long game plane and she’ll be out because logically she shouldn’t ever gotten this far. 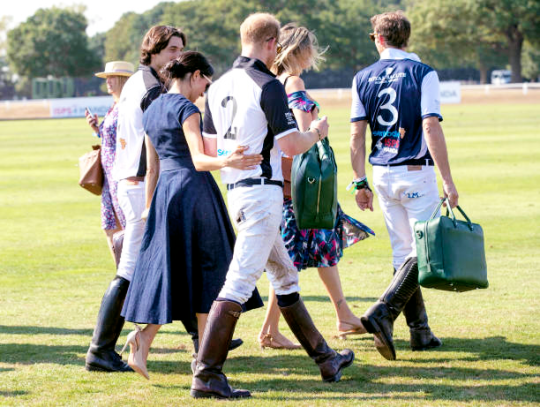 The merchandising at the polo match by showing up in an expensive dress and having her money shot with Harry and the look at the camera as if to say ‘sorry, haters, I’m still here’ is too much. It’s just not worth bringing in logic regarding Harry’s mindset as at times it looks like he’s playing a game directed by others and at other times, he looks like he’s cool with his freaky choice of a wife. More stuff comes out about her nastiness such as her allegedly sleeping with Matt Lauer to get on the Today Show and such, yet she’s still being presented as a royal and someone who’ll be good for the monarchy; seen as progressive. A foreign strumpet. Just to be mean, I’d love for this to be the case of getting her comfortable and ‘accepted’ then unleash the dirt that she paid her ex husband to keep hush about and let her flounder alone as it’s revealed that the marriage between her and Harry isn’t legal because it’s not official, it was just a blessing to reign her in and have the royal family control the narrative that’ll end up booting her back to the States. Dyer was criticized for being bad influence on Harry. He was with harry when he had that unfortunate encounter with reporters when they baited him. I don't see him as a second dad for Harry. No way. I doubt she slept with Matt Lauer. He is a sleaze and a lot of the women who complained found him so. Harry and Meghan's marriage is legal. M.D. is obviously assigned to keep an eye on this grifter. He knows the score, and she knows he knows. Third time's a charm. The first polo she sneaked in using someone to get in. But was thrown away by Mike. Second time - she only got to his car but couldn't even open that one to trash it properly. The second time even her friend Serena Williams and her $B husband couldn't get her in. Mike threw her out of the parking lot. 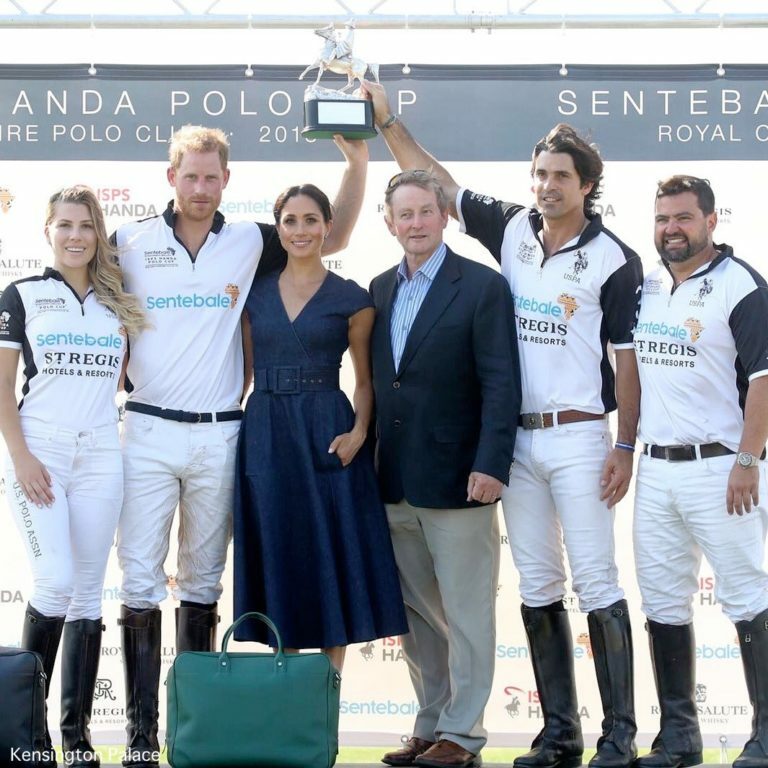 I'm pretty sure there was a fit of rage and a lot of demands so that she can get on a polo with Harry and get her money shot. She didn't succeed with the 4th polo game. Harry was without her on that one. On the 5th game she finally got to merch. The outfit today was perfect for the occasion. 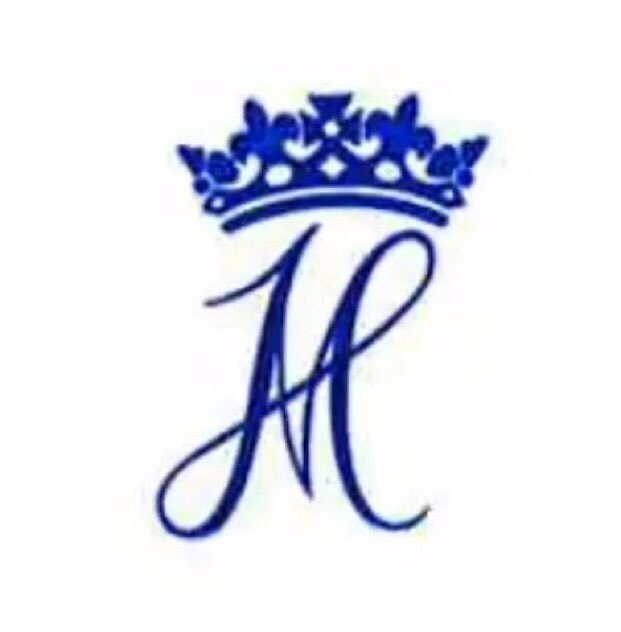 The only problem is that brands that like to dress the Hollywood A listers like: Carolina Herrera and Oscar De La Renta must be very careful when choosing to promote with Megan because if the real influencers start talking about Megan's "brand" and it's hypocrisy quite a few fashion houses will be on fire. ^^ But he's not Meghan Markle. I like the way you think, Windsor! What a freeky loking picture. 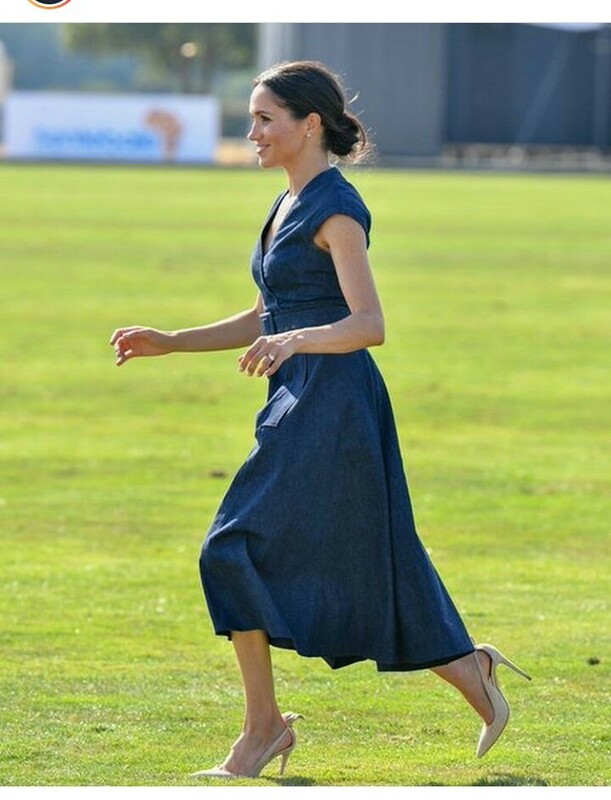 She's apparently running during the polo match. Their first intial's together on letterhead. Since she turned up unexpectantly to polo, there's no seating for her at the lunch. Harry hugs this woman, but not Meg as she has her arm around him. She looks a complete manic desperate pathetic mess. 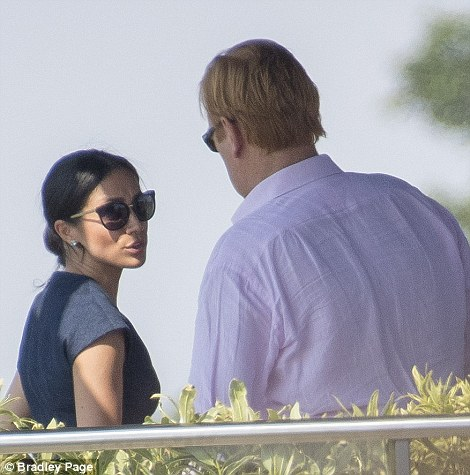 The good thing about her still being around is that more people are questioning this relationship and her motives and her family's being banned from British tv from making money off of the royal connection. This should also extend to the Middletons and any other social climbers that use the royal family for monatary gains. See the Markles thread. Next up should be how she's merchandising. ^Boy, she looks and acts more like a lucky fan who got a day pass with a Beatle instead of a wife. Interesting. The back rubbing is to watch on video, skip to the 2:30 min mark on the video below. And does Harry do a little dance? ^That appears to be "making up" after a fight behavior. Wouldn't shock me that they had a row, she refused to go and then showed up all sorry and whatever. I'd bet anything their whole marriage is volatile and drama drama drama. God, Poor Harry. But, nobody asked him to step into this mess. No telling what the future will bring.